Has 30 recipes, 4 public recipes. Has 134 flavors in inventory. Boomdog07 supports All The Flavors. Upgrade yourself. 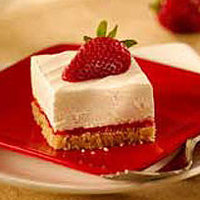 Uh, Strawberry cheesecake with a little extra I guess. I needed a little more substance with my previous attempts so I changed some of the Strawberries, added the whipped cream and it definitely helped. I have a problem with Straw Ripe so this was getting on my nerves, the sweet really helps! 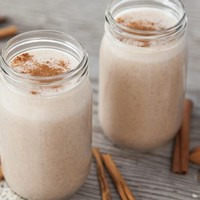 This is a very simple but delicious Horchata recipe. Yeah it looks silly and simple but it tastes absolutely fabulous after a 1-2 day steep. I am not a drinker, but I have been told it goes great with beer! Going for a Kilo juice that I tried a while back and have been chasing for a while. Tastes like the milk at the bottom of a cereal bowl... I think I am close to the juice that I tried with them but I feel like I am missing something just not quite sure what. Any help would be great! 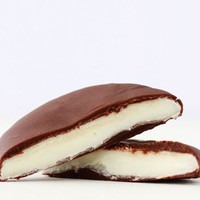 Wanted to simulate a Peppermint Patty for a friend. The Double Chocolate is what I had on hand to start with and it seems to work well at this ratio. The Creme De Menthe is the creamy mint portion, and the Koolada is the the cooling sensation on the exhale. The sweetener is there as more of a binder than anything else, not sure why but without it the mint is very strong and the chocolate doesn't come through as much. I played with this for quite some time before coming up with the final blend that works well as a shake and vape but is great after about 48 hours. I know there are a lot of people that knock Dr. Crimmy out there.. but it was the first juice I ever bought when I started vaping before all the crap went down and the accusations about his dirty facilities or whatever. Anyway THIS is almost dead on and brought me back to that first day I tried that juice. I go back to this time and time again and mix it now in 500ml batches just so I can have some steeping while I blow through 120ml the first couple of days. Thank you sir for your work on this!!! Well let me start by saying I may have cheated a little bit. I had a nice large batch of Sugar Cookies and Cream (300ml) sitting around that has been steeping for at least 90 days. That being said, I looked over the differences and the only real change I saw was the addition of the Dark Bean, and a small percentage of Bavarian Cream.. so why not just add it to a 60ml bottle and see what happens. I did just that and let me tell you the results were absolutely spot on for me. I am talking about a 1 day extra steep and the coffee is there, but not overwhelming at all. The added cream I am guessing will continue to come to the top as it sits a little longer. So far after however I am definitely in love with this one. Thanks Chrisdvr1 for the work on this one it is definitely going into my rotation from this point forward. I am using it in a TFV8 with the T10 coils at 140w. I have also tried it on my Temple with dual claptons at .21 at around 100w and it was great there too. This recipe is simply delicious. I have mixed and used 500ml plus of it with 1 tiny addition... .25 CAP Super Sweet just to add a little sweetness. I don't know why but it really helps take the "dry" out of it that I was getting without it. This is still great just as it is for most people I am sure, I just like stuff a little sweeter and "wetter" on the mouth feel. Fantastic! This one is good on day 1, great on day 2... The blend of fruits is hard to put your finger on if you don't know what is actually in it but super tasty! I will stay along the lines as the others. Lemon fades pretty quickly, not sure exactly how to combat that. It is wonderful day 2-7, before that I get a little overbearing lemon, after that the lemon dies out almost totally. Good recipe though and great for a quick bottle or 2 that you can blow through. Simple and delicious. Tried it right off the mix in an RDA and it is really good. I am going to update my review after 3-5 days of steep and see how and if things change. The banana is balanced and doesn't have a "chemical" flavor which is nice, the BR hits on the exhale nice and smooth, and of course the caramel from the RY4 is there on the way out as well. UPDATE: After a 5-6 day steep this thing just keeps getting more and more awesome. I mixed up just a small 60ml to track its progress throughout the week. I just mixed up 600ml to keep some steeping for a while!! Gonna make this my ADV for a while I have a feeling. Great Job! !